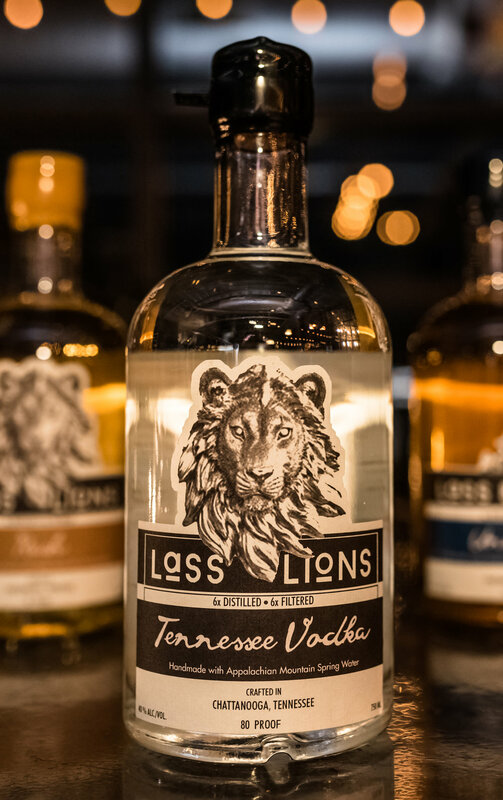 The Lass & Lions team formed to make award-winning craft vodka -- something you'll love at first sip! We handmake our craft vodka in small batches melding age-old techniques with contemporary processes to produce an exceptionally smooth and crisp vodka. We use only premium quality herbs and ingredients sourced from ideal growing locations and demand fair trade practices and responsible farming techniques. 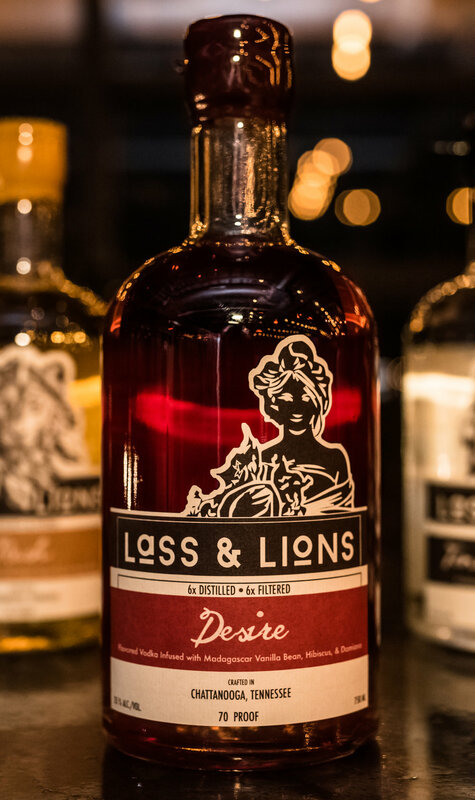 We pride ourselves on spirits innovation and female progression in business and the spirit industry through our co-founder and CEO Danette Newton. Danette's background as a biomedical engineer, botanical expert, and spirit enthusiast led her to the idea that spirits can be more than just alcohol. Learn more below about our exceptional craft vodka and the world's first vodkas infused with functional herbs. Our premium straight craft vodka is simply unrivaled in taste and quality. We know water is key to a great vodka, so we make ours with pure Appalachian Mountain spring water which started out as rain or snowmelt over the mountain range and slowly filtered through the Appalachian Mountain rock absorbing the perfect balance of minerals and pH. We then filter our craft vodka 6 times through our proprietary charcoal filtration system to create a super smooth, crisp, and clean vodka. You'll never taste a smoother vodka. 80 Proof | 40% Alc./Vol. Tasting Notes: soft, clean, crisp, smooth, and leaves an almost creamy mouthfeel. A true craft vodka experience. We take our premium craft vodka to make the world's first vodka infused with real, all-natural, functional botanicals. Whether you need a relaxing time to Unwind, a fun time to Rush, or a sensual time to Desire -- we have a craft vodka to compliment your mood. We're much more than just another vodka in a fancy bottle. Learn more below about our innovative vodka infused with functional botanicals. Infused with Madagascar Vanilla Beans, Hibiscus, and Damiana to compliment a sensual experience. Has subtle vanilla and earthy notes without an overly sweet taste and a smooth finish. Infused with Clove, Green Tea, and Yerba Mate to compliment an energizing experience. Has spicy undertones of cinnamon, full body, with a smooth finish. Infused with Chamomile and Lemongrass to compliment a relaxing experience. Has a mild citrus note with a clean, crisp finish.